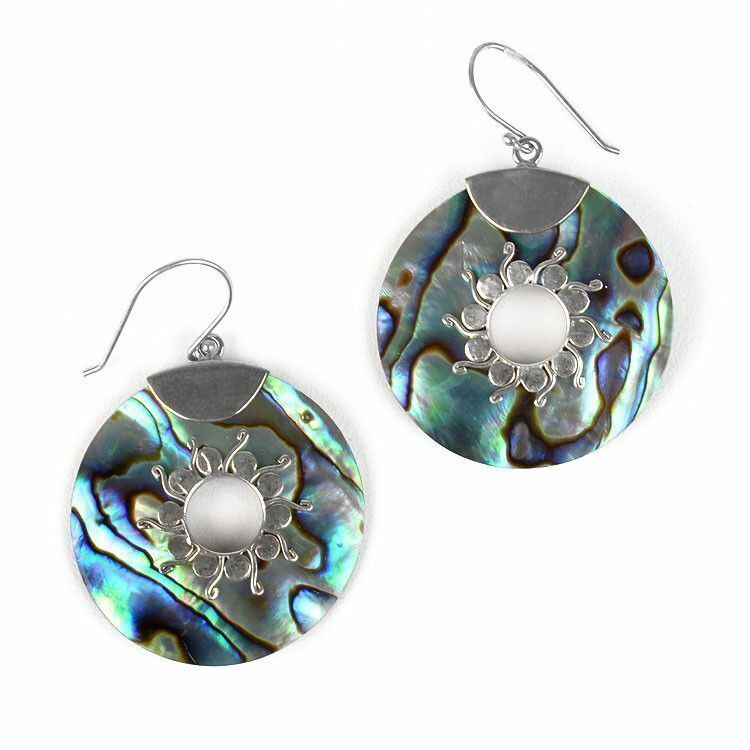 These iridescent earrings are about 1 5/8" long. 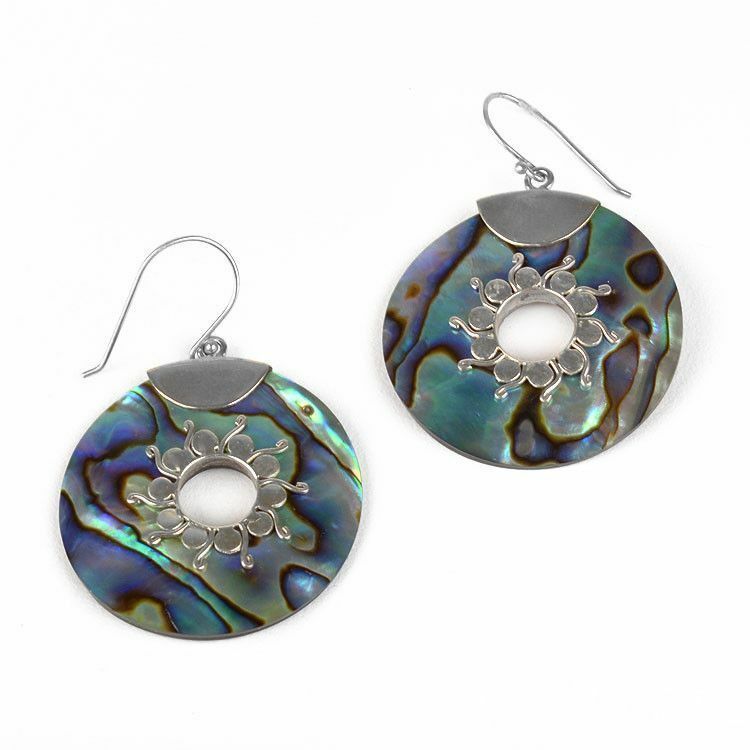 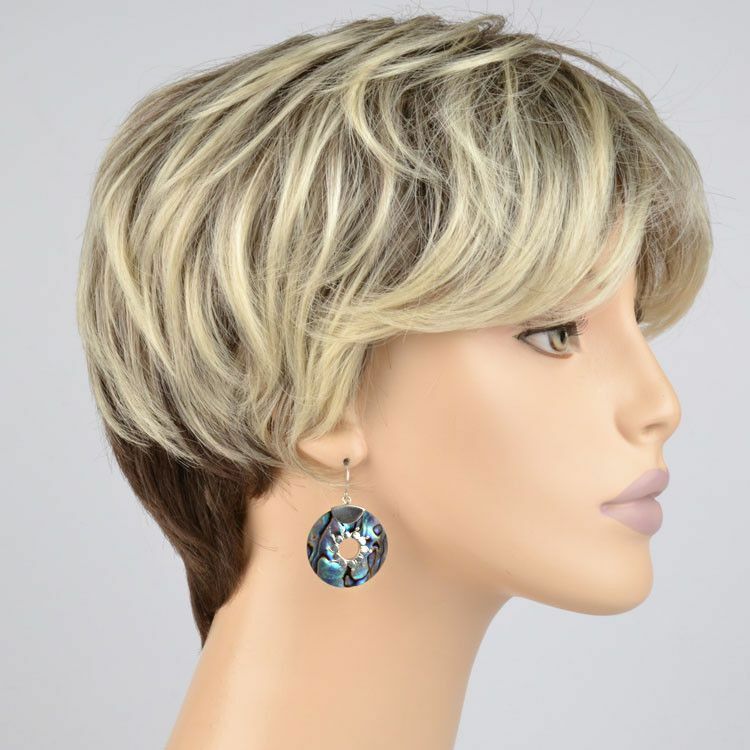 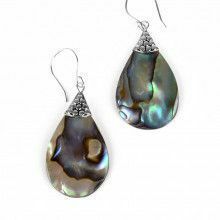 They feature a circular abalone shell, approximately 1 1/8" in diameter, embellished with unique sterling silver accents. 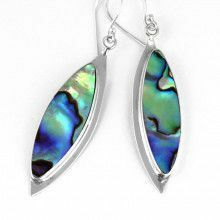 Simple hooks complete these purple-green hued earrings. 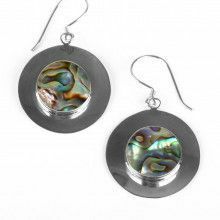 Diameter is about 1 1/8"